The age-old question for entrepreneurs… should you hire a business coach? Some people swear by their coach and attribute much of their success to having a coach. Others will tell you that it is a giant waste of money and you should invest that money elsewhere. So where does that leave you? Should you hire a business coach? Tom here. If you are considering hiring a coach to help you and your business, then you are in the right place. Hiring a coach can be one of the best investments that you make for yourself personally as well as for your business. But miss some critical steps in the process and it can be a giant waste of money and a source of resentment. I put this comprehensive guide together to help you better understand what coaching is, the benefits, things to avoid and things to do to help you maximize your coaching investment. Achieving success as an entrepreneur can be an elusive game. Some days you just keep gaining momentum and feel on top of the world. Other days you just want to curl up under your desk and hide. It’s like a roller coaster, except sometimes you are laying the track as you are traveling on it, not knowing if you are laying it fast enough, steering in the right direction or have the right people along for the ride with you. When you initially start looking for more success, this quote really begins to resonate as you look around and see that you are the average of the people that you surround yourself with, and they are likely not the people that you want to be surrounding yourself with to achieve the results that you are looking for. Feel like you have a pretty good handle on what business coaching is and the benefits? Want to just want to hop on a call and see if I could help you grow your business and become a better leader? 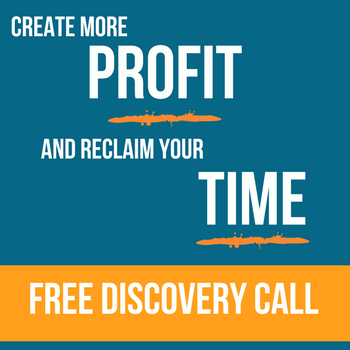 Click here to schedule a free discovery call. There are a lot of information, and (mis)information out there around coaching, what it is and what it isn’t. Coaching is an unregulated industry, meaning that unlike say a doctor or a lawyer, you don’t need any specific credentials or degrees to be considered a coach. Therefore, anyone can call themselves a coach. That also means that there are a lot of different definitions and interpretations out there. The International Coach Federation (ICF) defines coaching as “partnering with clients in a thought-provoking and creative process that inspires them to maximize their personal and professional potential”. If you search, you will likely find a variety of other definitions out there as well. “A coach works with their clients to clarify and raise awareness around their goals, and supports them in removing obstacles that prevent them from achieving said desires”. What Other Roles Commonly Fall Under Coaching? Because the coaching industry is unregulated, there is not a single role or definition of what coaching is. As a result, what commonly happens is that a whole plethora of different roles that may be lumped under coaching. It’s not necessarily important what something is called, but it is important to be aligned on expectations. This helps both the coach and client understand and align on expectations. An accountability partner is some who supports you and keeps you accountable. This is often a 2-day way street, where you will hold someone else accountable and they will hold you accountable. Think about having a gym partner who helps make sure that you work out when you said you would, even if you don’t feel like you want to. A mastermind group is a small group of typically 3-6 people who meet periodically to support each other an grow. Think of it as a group of accountability partners. Sometimes you may pay to be part of a mastermind that is facilitated. Other times it will be a no-cost mastermind of peers. The intention of the group is to brainstorm, learn, give/receive feedback and work together to help everyone in the group achieve more success. A practitioner is someone who has actually done it. In the context of business, this would be a current or former business owner. They have actually achieved some level of success themselves as an entrepreneur. This may or may not mean that they can help you achieve success. Some people are really going at doing but not so good at being able to teach or help others do the same thing. Think of someone, maybe a professor, who was very successful at their field but was not very good at teaching what they knew. A trainer/teacher is someone who is able to share the right information, at the right time, and taught in a way so that the students can learn and be able to implement the knowledge. The teacher may or may not have actually done what they are teaching. Some of the best teachers are skilled and learning information and conveying it in a way that you can learn, even though they may not have actually implemented what they have learned/are teaching themselves. A consultant is someone who has a vast amount of experience in a particular domain. They are the expert. You hire a consultant when you don’t have the experience and are looking for an expert to come in and either tell you what you should be doing or to actually do it for you. Often times this will be for a specific area of your business, such as improving your sales process. A mentor is someone who has a significant amount of knowledge and experience and chooses to guide a less experienced person. They have already done what you want to do and you want to follow along in their footsteps. Often times we think of mentors as those older than us who have “been there, done that”. A mentor will likely possess a variety of the above roles and experiences. Mentors may not charge you, in which case their motivation may be to “pay it forward”. In other cases, a mentor may charge you. While each of the above roles has been laid out independently, you will often find that really good coaches can fill multiple roles. They may be a skilled coach + an expert in a specific area (ex. creating profitable businesses) and you can get a powerful person in your corner. More on some of these powerful conversations to come later in this article. So instead of saying that you are looking for a specific role (since each person may define them slightly different), you are instead better off in most cases to describe the outcome that you are looking for when seeking someone to assist you. Additionally, true success in business typically requires all of the above roles at different points in your journey. A good practice is to spend some time creating your vision (both personal and business), mapping out a roadmap to go from where you are to where you want to be and defining what obstacles are in the way. Once you have done this, then you can begin looking for ways to overcome the obstacles, some of which may be working with a coach or one of the other roles above. Note: If you want more guidance in how to lay out your personal vision and roadmap, check out our Lifestyle Plan With Purpose article. It breaks down the 6 steps to creating your vision and how to begin taking the steps to make it happen. This is the same process that we use ourselves and with our private coaching clients. Even though coaching itself is not regulated, there are some closely related industries that are regulated and it is important that coaches do not venture into these areas without the proper education, experience, and accreditation. Therapy or counseling is often focused on revisiting someone’s past and helping them heal from wounds and provide freedom from the pain. Coaching, on the other hand, is future looking and for people who seek improvement and beneficial change in their lives. It is very important for coaches to not stray into the therapy/counseling realm if they do not have the proper background. They should instead refer clients to a professional in this case. What Benefits Can You Receive From Coaching? Now that you understand what coaching is and isn’t, let’s talk through some of the benefits that you can expect to receive from coaching. Some of this will apply across the board to any type of coaching, while some of it will be specific to business coaching. One of the biggest “secrets” to success is having clarity and awareness. This applies to all aspects of life and business. Clarity about the life/lifestyle that you want to live. Clarity about where you are now. Clarity about why you want the things that you desire. Clarity about what role your business plays in all of this. As for awareness, it’s the same thing. Awareness to what is getting/could get in the way of achieving your desired results. Awareness of yourself, including your strengths and weaknesses. Awareness of how your actions/inactions lead you to where you are currently. A skilled coach will help you increase both of these through genuinely caring, asking the right questions and guiding your discussions. Accountability is another one of the big benefits that people receive from coaching that they may or may not consider. I actually had a client who said to me when I started coaching them, “Now Tom, I didn’t hire you for your knowledge. In fact, I probably know more than you in several of these areas. No, I hired you to keep me accountable in a way that I haven’t been able to do thus far”. You see, when you work for someone else, a lot of accountability is built in. You have a boss, you have peers and you have customers. #1 – You have to be accountable to your boss or you won’t have a job. #2 – You have to be accountable to your peers because you see them every day. But when you work for yourself, suddenly much of this accountability disappears. If you are working by yourself, it is easy to get off track. It is easy to not ask yourself the tough questions, either because you don’t need to or because you are too close to it and don’t know what questions you should be asking yourself. Also, when you pay a coach, you build in even more accountability as you have made an investment (of both time and money), which you don’t want to go to waste. When you are alone, or even when you have a team, it can be lonely at the top. There are some things that you can’t get from your team. It can be lonely and scary being the leader of your business. You constantly have to grow as a person and are getting into new territory as a leader. As a popular book title says, “What Got You Here Won’t Get You There“. Having a coach can help you work through challenges that may cause you to be less confident than you should be. I’ve had several clients that were able to make some breakthroughs and achieve initial success pretty quick because they just needed someone to reframe their experience, believe in them and give them permission to do what they knew they should be doing to achieve their goals. Many people become more confident just by knowing that there is someone in their corner that believes in them and that they can go do for guidance and pep talks. Growth comes from doing. When you are part of a coaching relationship, you are doing a lot of doing. You are answering tough but important questions. You are challenging your paradigms and perspectives. You are unlocking your potential. You are becoming the person, the leader, that you need to be for your life and for your business. As you do this, new doors will open. You will be a better person. A more aware and confident person. You will be in tune with what drives you; you why. You will be aware of the obstacles and be ready to overcome them. And you will be confident and focused not only on improving things you for you and those close to you, but yo leave an impact on the world. Your life will improve. And with all of this growth, your business will experience growth as well. You will be more open to visioning & brainstorming. With clarity on your vision, you will be able to filter and prioritize everything that you could do and focus your attention on the handful of things that you should do. Your coach can then also help you work through the change process, which always comes up as you are upleveling and/or doing something new and different. I look at learning from 2 perspectives. The first is the direct learning that you get. For example, if you attend a presentation, this would be the content of the presentation and what you took away. The “secondary learning” is looking at how the presentation was structured, how it flowed, what the speaker did, etc. So when you engage in coaching, you get the direct benefits of coaching, but you also get the opportunity to apply secondary learning about the process. Why did you decide to become a client of this coach? What did they do to get you as a customer? What did their onboarding sequence look like and how can you apply that you your business? How did they communicate? How did they listen? How did they guide you to come to your own realizations? And with all that, how can you apply this to your partners, to your team? Coaching is a powerful skill to have as a leader of your business. There are a few different ways that a coach may structure their offerings for how you can work with them. The first option for coaching is private coaching, meaning that you will work 1-1 with a coach and no other clients will be at your session. A coach may have a standard process that they guide clients through, but in these arrangements typically the process and experience with being customized to dive deep and support you in clarifying an achieving your goals. A second structure for working with a coach is in a group setting. Some coaches will offer group coaching programs. These programs will typically contain one coach to a handful of students who are looking to achieve similar outcomes. Although this approach is not as customized and focused on you, it generally is cheaper than 1-1 coaching and you receive an added benefit of learning from other members of the group, almost like a guided mastermind. Often times I’ve actually gotten more out of listening to other people’s questions and the coach’s response to their questions than I have my own questions. Another thing to consider when thinking about the timeframe for coaching. These are one-time calls and typically 30 minutes or less. These calls are often free, or the price you pay will be taken off a coaching program if you decide to purchase additional coaching. Generally, these calls are only used as the beginning of a coaching relationship. The main purpose it to connect and determine if there is a good fit for working together. Additionally, clients often receive a lot of clarity from these calls because the coach is asking a lot of questions. Intensinsives are also a single session like discovery calls, but they are paid sessions and may last anywhere from 1 hour to a few days. These types of structures typically focus on diving into a specific problem and solving that problem, or at least coming out with a plan that the client can act on. These sessions are great for a client who wants to “test out” a coach before investing in a longer-term term and higher price coaching package. They are also really good if you just want some clarity/insight to a specific problem but don’t want/need an ongoing coach. The third setup is ongoing coaching. In this scenario, you hire a coach for a set period of time (ex. 3 months, 1 year or some time period in between). You meet with the coach periodically during this time. This setup is great for people that want ongoing coaching, support, and growth. They are generally the most expensive but provide you with coaching and guidance as you go through various changes and leveling up. Ahh yes, the age-old question that we always get back to… how much does it cost? Well, here is the traditional lawyer answer… it depends. There are a lot of factors that go into what it costs to work with a coach, and we will get into these below, but to start things off just know that business coaching can range anywhere from $500 – $10,000/month (or more) depending on your needs and the coach that you decide to work in. What should you consider when determining how much to invest in a coach? Below are a few different aspects, as well as some ways to save some money while doing so. Whenever you make an investment, you want to understand the result that you are looking to achieve from that investment. You also want to make sure that the ROI (Return on Investment) is high enough for you. In terms of the result that you are seeking, think about what that result is worth to you. Also, consider how you would feel/what the impact would be if you didn’t invest and didn’t get the result. Missing out on a $50,000 opportunity because you didn’t invest $5,000 probably wouldn’t sit well with most people. Whenever I invest in something, I personally look to first see if I can make enough value back to cover my investment. That is the minimum bar. Beyond that, you really want to look to achieve 2-3X your investment back. If you can do that, it is a really good deal. Obviously, 5X or 10X is even better. Also, remember that returns don’t always have to be financial. You could benefit from having more free time, having less stress, being happier, etc. You will have to determine how much is worth investing in order to achieve the result that you are seeking. Finally, often times when you pay more, you are more committed. If you are only paying a small amount for coaching, you may not take it as seriously than if you were paying a large sum. So it may be counterintuitive, but sometimes paying MORE actually will help you get more results. Part of what goes into pricing is the experience level of the coach. The more experienced, generally the more you will pay. Another aspect is how effective that coach is. If the coach has been able to get some amazing results for their clients (even if they can’t get the same results for themselves), you will likely pay more. Think about what level of experience you need? A less experienced coach may save you money early on in your journey as they would likely cost less and you wouldn’t be paying for knowledge or experience that you weren’t quite ready for. On the other hand, if you have the money and are willing to put in the work, you may want to go with a more experienced coach, even if you are newer to being an entrepreneur. Some coaches will charge by the hour whereas others will offer a package. In general, you will pay more when you are buying by the hour. If you are buying a session here and a session there, you will likely pay more per session that if you bought a block of sessions. This also makes it easier on both you and the coach in terms of scheduling and understanding how long you plan to work together. Many coaches will offer two different payment options. If you pay for the entire package in full, you will likely spend less money overall. Many coaches will offer a discount (ex. 10%) if you pay upfront. The second option is a payment plan, which will typically allow you to pay per month but you will not receive a discount. With all the benefits of coaching, you may be surprised to hear a lot of people bashing coaching. I see people all the time online talking about why doesn’t doesn’t work, how they wasted a bunch of money and how you should avoid it because “you can find everything that you need on Google”. Below are a few of the top reasons that people don’t have a good experience with coaching and fail to achieve their desired results. Many people don’t differentiate coaches and other roles in the way that we described above. They assume that coaches are all of those things, when more often than not a coach is really one or two of those. For example, let’s say an entrepreneur has a business that is growing, but they don’t know how to begin outsourcing some of their tasks and hiring on help. They may want an expert in hiring and growing a team (likely a consultant), but they might hire someone who asks them questions and only helps them gain clarity on what they need (such as a coach). If they need the actual step-by-step skills, a coach may not be a lit of help, but if they need to work through letting go of control and delegating, then a coach may be just what they need. Without understanding what coaching is, they may hire the wrong person and have expectations that were beyond what the person they hired was able to deliver. Building off of #1, many people who don’t find success with coaching aren’t clear on what they want to achieve before they hire a coach. They may hire a coach because someone tells them that they need one to be successful, but they don’t spend the time to think about the end result that they are looking for. As a result, they spend time and money, only to be disappointed that their expectations were not met. A good coach can definitely help a person clarify their objectives, as long as that is part of what they expect as part of coaching. Building off of the previous two reasons, the third reason that coaching may not be successful is that the wrong person is hired. This may be because the person does not really know what results they are looking for. It could also be because the person who their objectives, but hired the wrong type of person (ex. a coach when they needed a consultant). Hiring the wrong person may also mean that their style or values aren’t a fit. You need to be able to connect with and trust the person that you are working with. This has become so much more clear for Ariana and me over the years. We’ve become more clear on our values, as well as the importance of only working with those people who align with our values. In fact, we create our own manifesto to describe what we value and who we work with. The above is just a snippet. Click here to read our entire manifesto. It takes work to grow, change and be successful and it doesn’t just happen because you hire a coach or buy a course. It takes work from the coaches’ perspective, but also from the client perspective. This means allocating resources (ex. time and money), as well as being open to change and taking action. Additionally, you need to be “coachable”. That means willing to explore your thoughts. Willing to answer questions. Willing to get uncomfortable, because growth is uncomfortable. As we saw in the last section, the prices of coaching can range from a few hundred dollars to $10,000+. Some people don’t achieve success with coaching because they don’t make the right investment for themselves. What does this mean? Well, if you are brand new or financially strapped, investing a lot of money into coaching may not be the right choice. If you are new, although it could accelerate your growth, you likely are not yet at a point to where you could truly benefit from the experience of a higher level/more expensive coach. What this means is that they could likely make a smaller investment in a coach to get them through steps 1 and 2 while saving a higher level investment until they get a little further along. Additionally, if you are financially strapped, you could burn the boats/go all in and invest all your money into a coach, but this isn’t a wise move either. For most people, this would cause additional stress and burden, not only on themselves but also potentially with their partner and family. This person also then would not be able to maximize the benefits of coaching if they were constantly stressed about their finances. In fact, one of the main reasons that we created our Lifestyle Builders Mentorship program was to offer a low-cost option for people that wanted to work with Ariana and me, but were not in a position to be able to take advantage of coaching. On the flip side, someone may not invest enough in coaching. If you have done a lot of personal growth and development and have had success in business, you don’t want to invest into a newer/entry level coach. The coach likely will not have the experience and you will be wasting your time. You need a more advanced/experienced coach, one who will likely charge you more money. Additionally, your investment will not give you enough skin in the game to care. When you pay more, you end up having a higher commitment. You want to pay enough for a coach that it matters to you and it will be an additional motivator to do the things that you need to do to achieve your desired results. If you are trying to figure out how much to invest into your personal and business growth, check out our guide to investing in yourself and your business. Sometimes you keep grinding, figuring that eventually it will all work out, but you are sick of waiting for eventually to come. Other times you will be achieving success and things are progressing at a great pace, until all of a sudden you hit a wall that you just can’t get past. You don’t NEED a coach. No one needs a coach. You can do build a successful business without a coach. Many people have. It Will Take Longer (Time)Having clarity is one of the best pre-cursors to success. When you have clarity, both on yourself and what you desire, it is then so much easier to then execute intentionally towards your vision.Many people will waste years and thousands or tens of thousands of dollars trying to achieve success. Often times they lack real clarity on what they truly desire and who they need to be to achieve that. Building on the above point, without clarity it will take you longer. 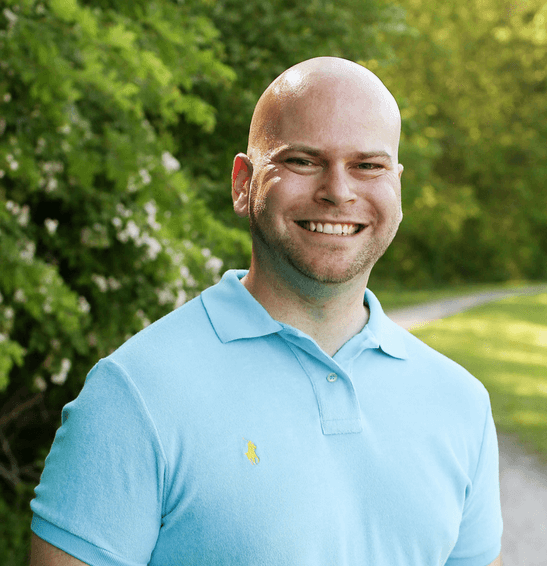 In addition to actually costing you money from mistakes and missteps along the way, the longer it takes you to succeed, the more money you will miss out on during that time.For example, if you are generating $10,000/month but have the opportunity to increase that to $20,000/month with a few tweaks, for each month that you don’t make those tweaks, you are essentially missing out or costing yourself $10,000. It doesn’t take many months to see how much money you could be leaving on the table. It Will Be More Challenging (Stress) When you are trying to go at it alone, it can be very frustrating and stressful. As you achieve varying levels of success, you will begin hitting plateaus where it seems like no matter what you do, you just can’t break past them. This takes us back to the “what got you here won’t get you there” motto.Oftentimes, these are cases where you need to level up. Leveling up often means leaving some things behind, including those things that actually allowed you to have your current level of success, in order to be and acquire the mindsets and skills to have success at the next level. Coaching can be a huge help in these situations as it can be challenging to see your blind spots and opportunities on your own. You May Not Achieve As Much Success At the end of the day, the most successful people surround themselves with people who help them achieve more success. Although you can likely achieve a certain amount of success on your own, working with a coach and other key roles can actually help you amplify that success. If you’ve read this far, chances are you now really understand the benefits having a business coach can bring you. Ariana & I discussed the topic of “Should You Hire a Business Coach” on our previous podcast, The Serial Startups Podcast. You can take a listen below. Now that you’ve gone through just about everything related to coaching, let’s walk through some different times or signs when working with a coach would benefit you. Before we do this, I’m going to share a simple model with you that you should use whenever you are considering working with someone. The model is called the Situational Leadership II Model. You can see a visual representation of this model below. You are in D1 when you are just starting. You are excited to learn/grow but don’t have the skills yet and need to learn.When you are a D1, the person that you work with does not need to give you a lot of support (as you have high desire), but they likely need to provide you more direction as you don’t yet have the skills.In this scenario, you likely are looking for someone who has some coaching ability but has expertise in what you are trying to do so that they can guide you. After some time, you shift into D2. Some of your initial excitement/optimism has faded and you face the reality of the challenges that lay ahead as your grow.When you are a D2, the person that you work with needs to shift more into a coaching and supporting role. They can support you and raise your confidence, including pairing with you to help make smart decisions and providing you more ownership and skill development.In this scenario, you likely are looking for someone with great coaching and process skills to help you gain clarity & confidence while also helping you set out a plan. D3: Low Desire, High CapabilityWith skills increasing, you shift from D2 to D3. You now have the skills, but may still have some imposter syndrome and don’t quite have the confidence or support to truly benefit from your skills.When are you a D3, the person that you work with will need to really focus on supporting you. You have the skills and now need to have the right mindset and confidence to use and benefit from them.In this scenario, you are likely looking for a coach who is great with mindset. They can help you become aware of your mindset paradigms/blocks and help you work through them. They don’t need to be the expert because you have adequate skills and are not seeking that from them. With the skills high and your confidence/motivation high, you shift from D3 to D4. You are an expert and have the mindset/motivation to properly utilize your expertise.When you are a D4, the person working with you will help you clarify objectives and truly empower/push you to achieve those objectives because you can.In this scenario, you are likely looking for a group coaching program facilitated by a coach. You will get a lot of insights from being around peers and be guided and pushed to achieve success. So whenever you are looking to hire someone, spend some time placing yourself on your development path with this particular area/skill and find a person who will complicate and support you from the correct leadership perspective. If you are thinking about starting a business and becoming an entrepreneur, working with a coach from the beginning can be an ideal scenario. When getting started, you likely have a high desire to achieve success as an entrepreneur, but likely have low capability, seeing as you haven’t done it before. A coach can help you clarify what you really want to achieve and how to get there. A resource to use in tandem in this scenario is our Lifestyle Plan with Purpose article, which walks through a simple 6-step process for defining what you want, establishing a process to achieve it and determining who you need to be to achieve your goals. Hiring a business coach here can save you a lot of time and money + provide you with the steps and direction to start your business. You may also want to check out our Concept to Cash article, which walks you through taking your idea through the testing and validation process to make your first set of sales. Another great time to get a coach is when you are considering a big shift or change in your business. These shifts should not be made on a whim and a coach can help you clarify your intentions and determine if you should make the shift and what growth you may need to do personally as a leader to allow the shift to be successful. This is an excellent time to hire a coach, specifically one who has experience with processes and systems. When you are feeling overwhelmed, it is easy to fall into a state of paralysis and not do anything or to shift into working harder/longer and lead yourself to burnout. Neither of these scenarios is good for your health nor your business. A coach in this scenario can help you clarify and prioritize what is important for you to focus on. Especially if they have a process and systems focus (more of a consultant/expert), they can then also help you put processes in place and automate/delegate so that you get time back, reduce stress and become more efficient. Being the leader of your business can be lonely, whether you are a business of one or if you have a team. There are many things that you can work out your team, but some things really need more of a peer and/or outside perspective. Being vulnerable is a sign of a strong leader, but that doesn’t mean you have to share 100% of what you are going through with your team. That’s where an outside perspective can help you work through your own personal development and give you a fresh perspective on your business. Growth requires change. Change is hard. Often times people will know that they need to make a change, but something holds them back from actually doing it. This is where working with a coach can help you explore and understand what is preventing you from taking action. Typically there may be some mindsets or perspectives that you are holding onto that are preventing the change. A coach can help you explore these and make critical paradigm shifts to allow you to move beyond the obstacle and take the action you need. Once these are removed, a coach can help you break down knowledge and principles into a plan and actionable steps, along with providing you support and accountability to move forward. If things are not working out, just putting your head down and working harder often will not produce the results that you are looking for. Instead, it will often cause you to be more frustrated and lead to burnout. A coach can help you take a step back to explore why success seems elusive and help you craft some strategies to help you get the results that you seek. Success in business doesn’t always mean growing and generating more revenue. In many cases, there are tweaks that can be made to your current business to allow you to make more profit with the same people and sales. Although this would be more of a coach with expertise in profitability and systems/processes, a coach can help you identify the gaps in your current business model causing you to leave money on the table, as well as identifying the inefficient processes that could be streamlined and improved. In general, we all go through cycles of peaks and valleys. Sometimes you just get stuck and can’t move past it. There could be a variety of factors that lead to this, but it a great time to bring in someone to help you work through and provide an outside perspective. These are just a few of the many potential times that it may make sense to work with a coach, or a coach + one of the other roles defined above. So now that we’ve covered just about every aspect of coaching, how do you make sure that you are hiring the right person to work with you? Below are 7 of the key things to focus on when hiring a coach. Before entering into a relationship, be clear on what you want to achieve. This will help make sure you understand what you want, and it will help you evaluate the people that you interview to help you decide if they can help you achieve your goals. A coach can help you clarify, but you want to have a going in position to start from. Once you know your objectives, review the list of roles above and identify what type of person you need. Are you really looking for a coach, or something else? Maybe you need a trainer to teach you a skill, or a consultant to bring their expertise evaluate and help you improve an area of your business. Once you know the role you need, seek out at least 3 people in that role and interview them. Most people will offer an introductory meeting or call to discuss your objectives and see if it is a good fit. You want to interview at least 3 people so that you have options, can compare/contrast them and select the best option that will work for you. In addition to just looking at whether they can help you achieve your objective, be sure that you have good chemistry and will be able to work together. People should be able to offer you examples of results that they have received in the past and/or clients that they have worked with. Take some time to verify their claims and even follow-up with past clients. Someone who can’t provide this is much riskier than someone who can. Effective coaching takes time and although you can see some results from an individual session, most results will come over a period of time. When working with a coach, establish a time period for the coaching to occur. For example, 3 month or 6 months periods are usually the sweet spot for maximizing coaches. If you go too short, you may get some quick wins but won’t maximize the value. If you go too long, you may become too dependant on your coach (instead of standing on your own) and the value of your results begin to taper off. It may also allow your coach or the relationship to plateau. So by establishing the right timeframe for you, setting objectives and tracking towards those objectives, you will be able to maximize your investment in coaching. It is important that going into coaching that you are “coachable”. If you are not coachable, you will hit a plateau. That means you will not be able to break through to the next level. 1 year of experience repeated 20 times does not equal 20 years of experience. It equals 1 year of experience, repeated 20 times. You will repeat your actions, and you will get the same results. You will stop getting better, no matter how hard you try or how many times you do it. As Albert Einstein once said… “Insanity is doing the same thing and expecting different results”. So when you reach out for help, first do yourself and the people you are reaching out to a favor… take a second and make sure you are coachable. If you don’t, you will waste both your time and their time, and likely your money if you are paying for coaching. That is not to say that a coach/consultant is always right, but if someone is further along than you or at the level that you want to be at, they got there because of some reasons. Respect their experience and opinion. Respect that you don’t know it all and need to be open to feedback. And realize that you may need to take and implement some of the feedback, and after evaluating, some feedback may not be relevant to your situation. All of the prior discussion doesn’t really matter if you are not committed. When you hire a coach (or another role), much of the result comes from your commitment level and the action that you take. So before entering into a relationship, be sure to clear off your schedule and make sure that you can commit to taking action. If you can’t commit, then maybe it is not the right time for coaching, or maybe you need to evaluate why you can’t commit. Remember that coaching is an investment in you, your business and your life. Done successfully, and it can significantly improve all three areas. Done poorly and it will cost you time, money and likely cause stress and additional frustration. This will negatively affect all three areas. So a business coach is someone who works with entrepreneurs/business owners to help raise awareness around what they want to achieve, what obstacles in the way and what that person can do to achieve the success that they desire. To learn more, check out the “What is a Business Coach” section of this article. Does everyone need a coach? No. No one needs a coach, but that doesn’t mean that everyone can’t benefit from having a coach. Hiring a coach often means that you will save time, money and stress as you work to achieve your goals. To learn more, check out the “When Should You Hire a Coach?” section of this guide. Should I be looking for a coach with a certification? Different people will give you different answers around this one. From my experience, it’s not the certification that is important, but the experience and past results of the coach that you should focus on. I’ve seen amazing coaches with certifications and terrible coaches with certifications. On the flip side, I’ve seen amazing coaches without certifications and terrible coaches without certifications. To learn more, check out the “How to Hire the Right Coach” section of this guide. What sort of return should I look to receive from coaching? It all depends. My minimum is that I want to at least cover the cost of my investment. But in general, I shoot for a 2-3X return. Also, remember that there are plenty of benefits that may not be measured in dollars, such as more time, less stress and more happiness. To learn more, check out the “How Much Does Coaching Cost?” section of this guide. If someone is successful, why would they coach instead of just doing more of what made them successful? Everyone has their own reasons. Some people are not able to be successful on their own but are really good at coaching others to success. Some people, like myself, really enjoy helping other people achieve their goals. Everyone has their own reason. If my coach is not successful in their life. Should I avoid hiring them as a coach? Not necessarily. Some people are REALLY good at helping others but are not able to achieve the same success themselves. I would recommend focusing more on what they can help you achieve rather than looking at what they have achieved. With that said, if you are hiring someone based on their personal experiences and expertise, you probably do want them to have achieved a certain level of success. Is there a difference between a coach and a mentor? Everyone has their own definition, but yes, there is a difference. In general, a coach helps a client gain clarity and awareness and support them in achieving their result. They may or may not have done what they are helping the client to do and don’t necessarily need to have expertise in the domain of the client. In this case, the client is the domain expert and the coach is just helping them maximize their potential. A mentor, on the other hand, is someone who has domain experience and is typically further along on the journey than the mentee. They will generally guide the mentee down the path. 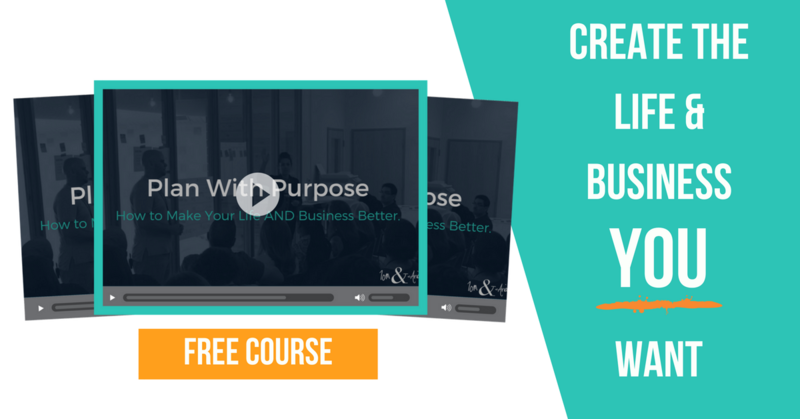 To learn more, check out the “What is a Business Coach?” section of this guide. 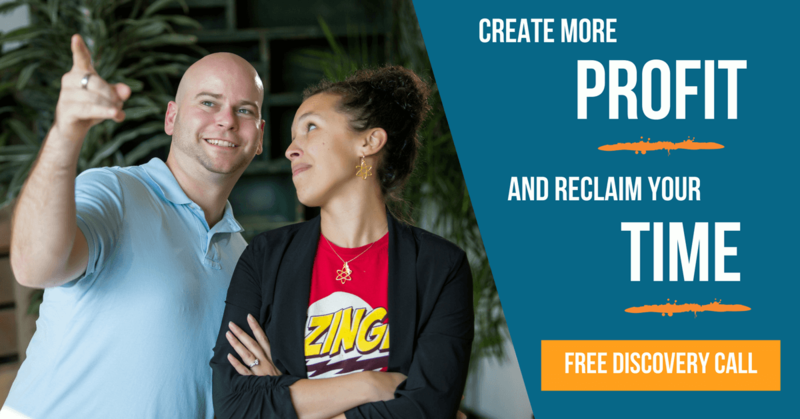 Are you ready to create more profit and reclaim your time? When Should You Hire a Coach?